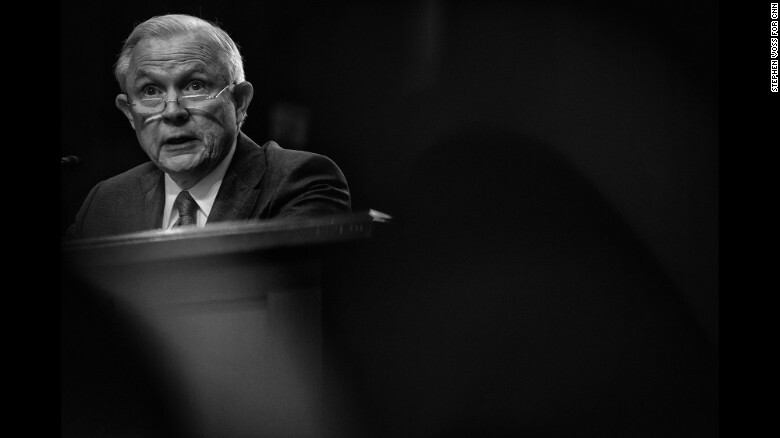 Attorney General Jeff Sessions was in the hot seat Tuesday, answering questions from the Senate Intelligence Committee less than a week after the bombshell-laden testimony of former FBI Director James Comey. 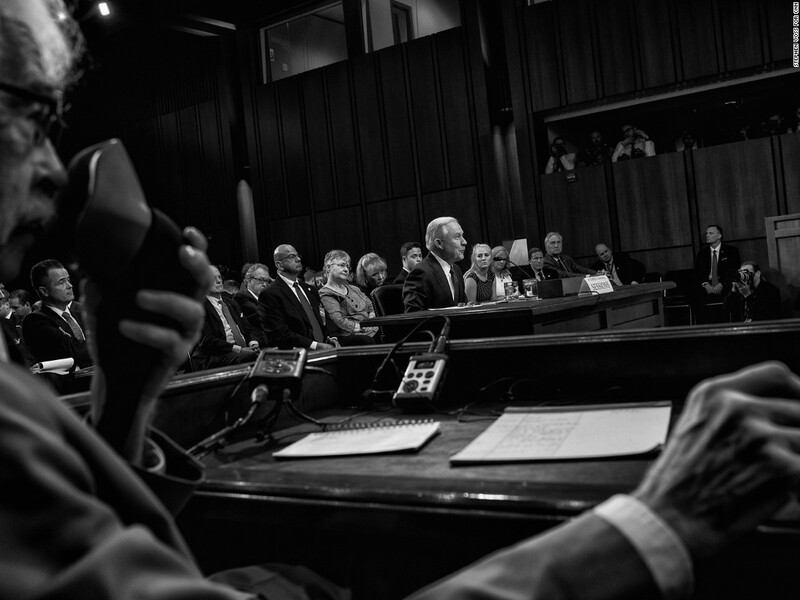 Sessions told the committee he never met with officials from Russia or anywhere else about interference in last year’s election, and he said any suggestion of that “is an appalling and detestable lie.” Click or tap on a photo to see what the scene was like at the Hart Senate Office Building. 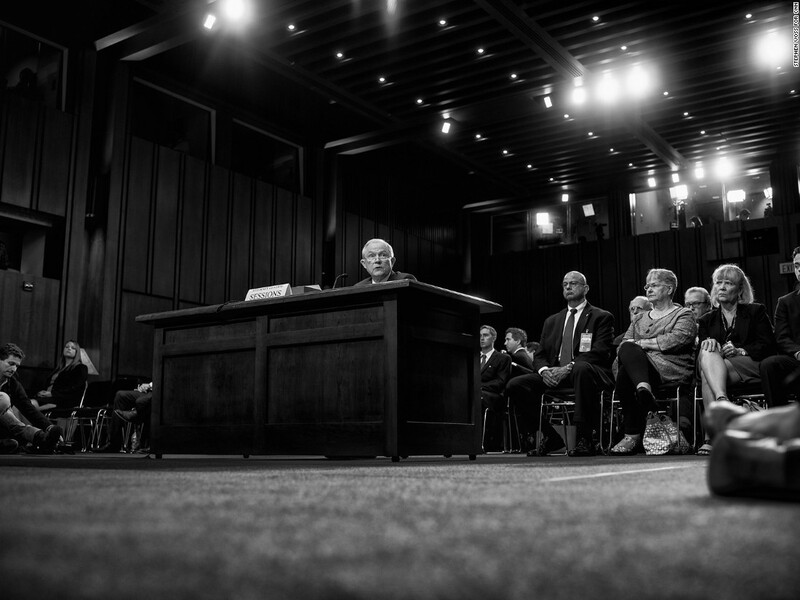 Attorney General Jeff Sessions testifies before the Senate Intelligence Committee at the Hart Senate Office Building. 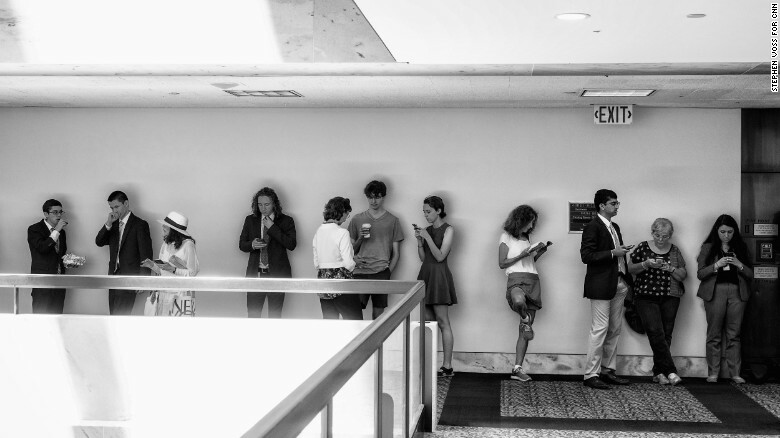 People line up outside the room where the attorney general would be testifying. 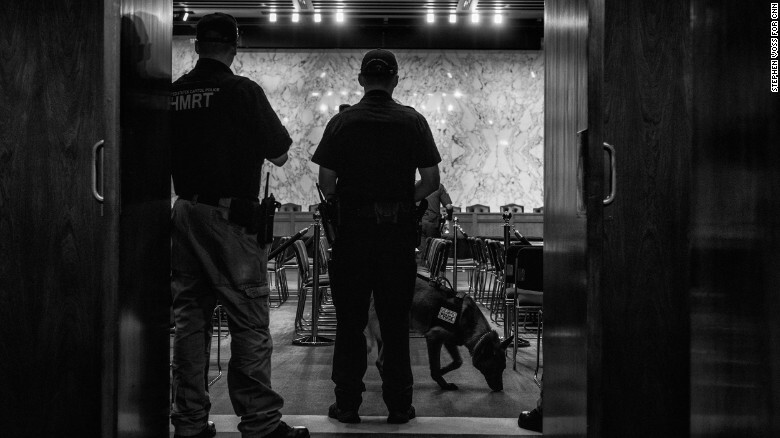 Capitol Police do a security sweep in the room where Sessions would speak at the Hart Senate Office Building. 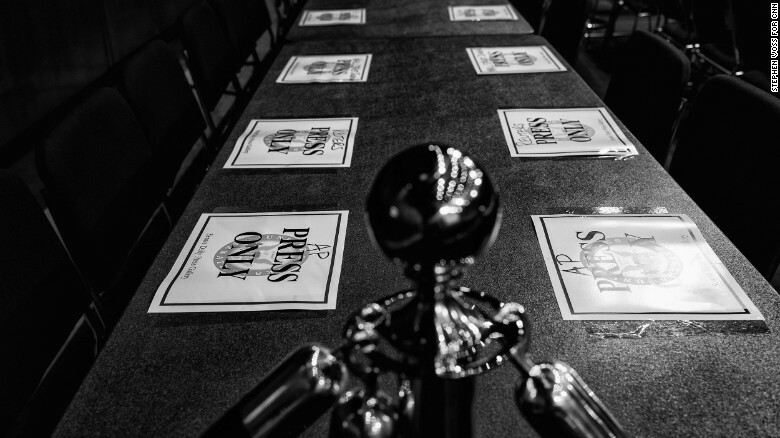 Seats are marked for the press at the Hart Senate Office Building. 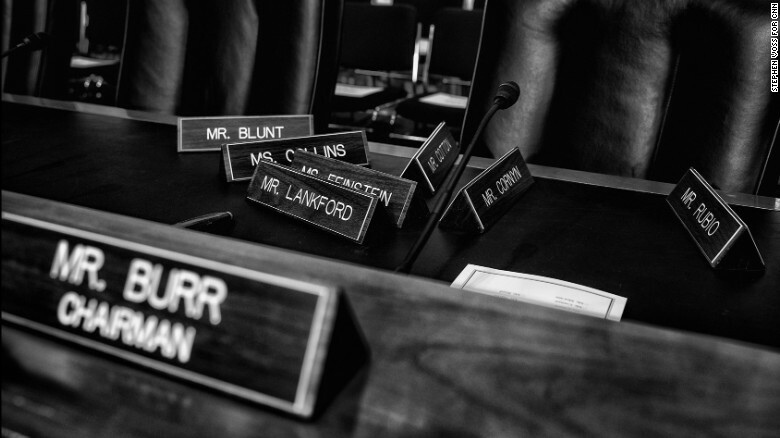 The senators’ nameplates are arranged before the hearing. 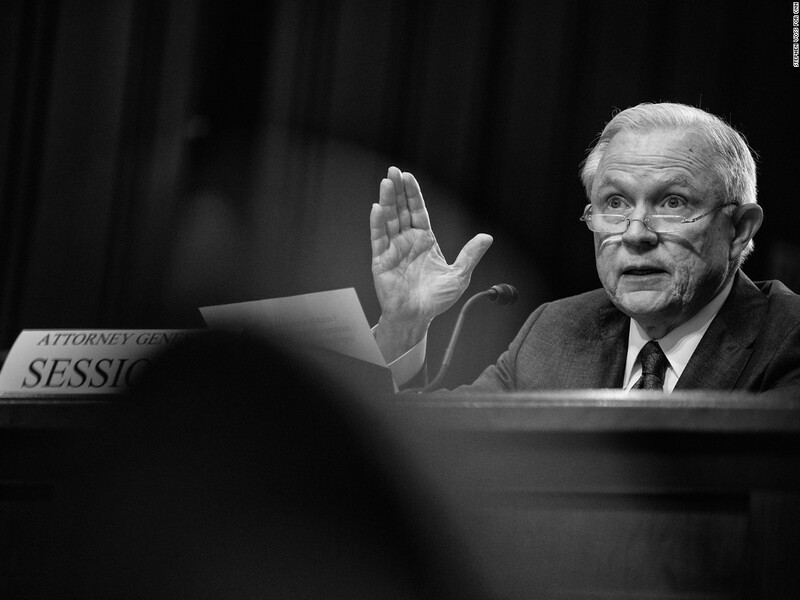 During his testimony, Sessions criticized "false attacks" and "innuendo" that he implied were designed to thwart the Trump administration's capacity to enact its agenda. "The people of this country expect an honest and transparent government, and that is what we are giving them," he said. 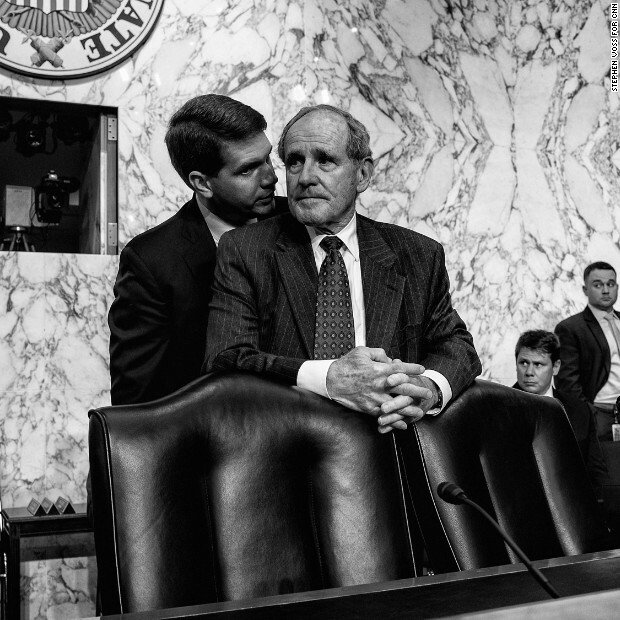 An aide talks to US Sen. James Risch before the hearing. The attorney general sits at a desk as he answers questions from the committee. 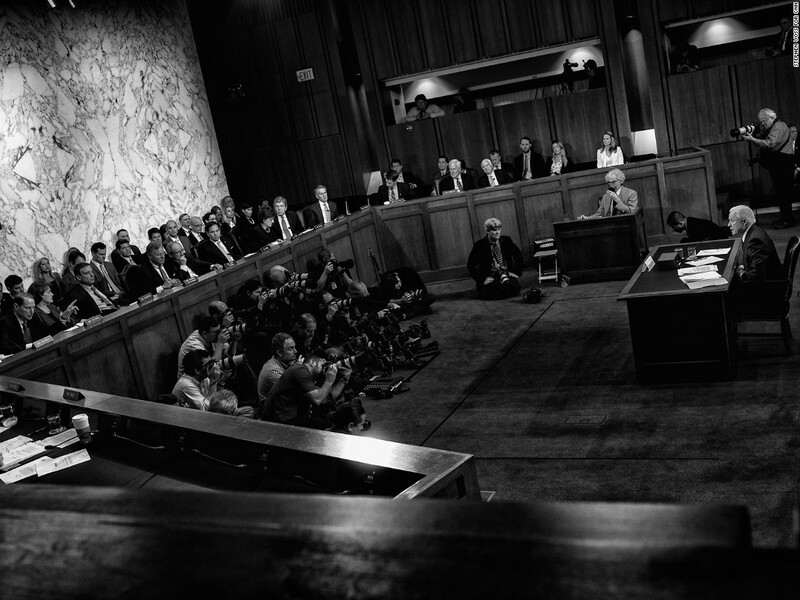 A Senate stenographer uses a microphone during the hearing. 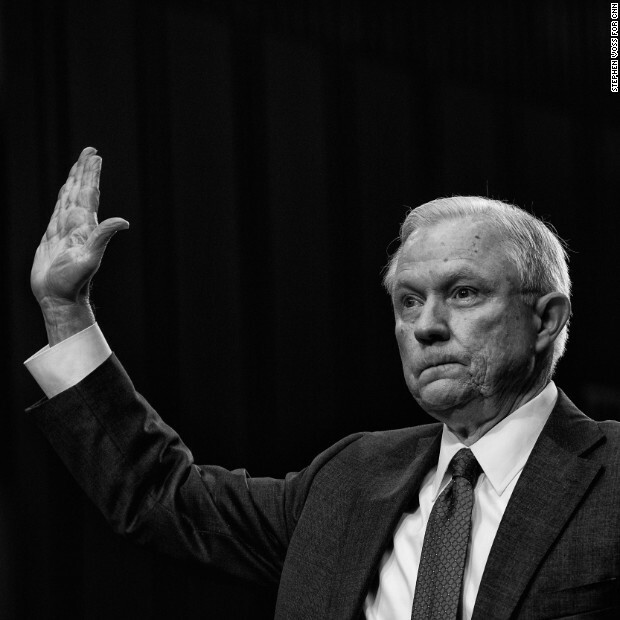 Sessions is sworn in before his testimony. In his testimony, Sessions said that he was not sure what was "explicitly" in Trump's mind when the President decided to fire Comey. He said he was unable to say whether he had discussed Comey's handling of the FBI investigation, on the principle that his conversations with the President should be kept confidential. From left, US Sens. 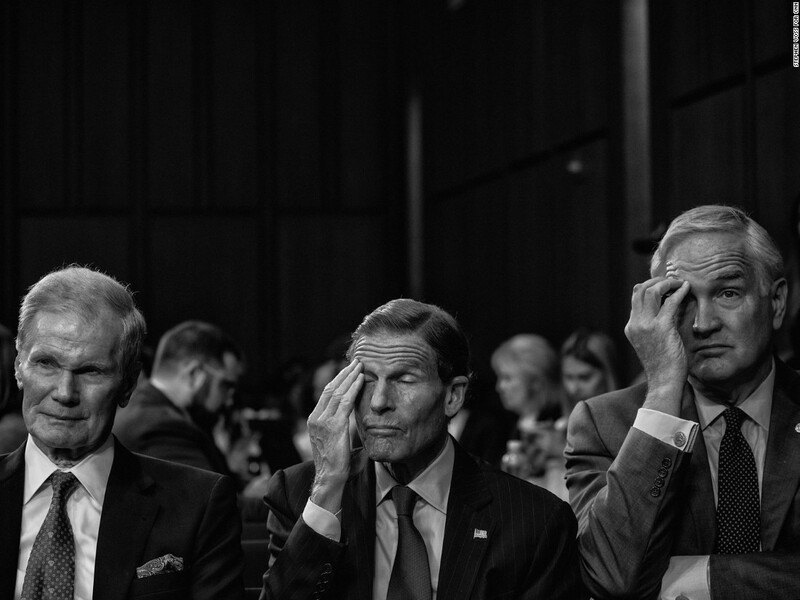 Bill Nelson, Richard Blumenthal and Luther Strange listen to the testimony in the audience. 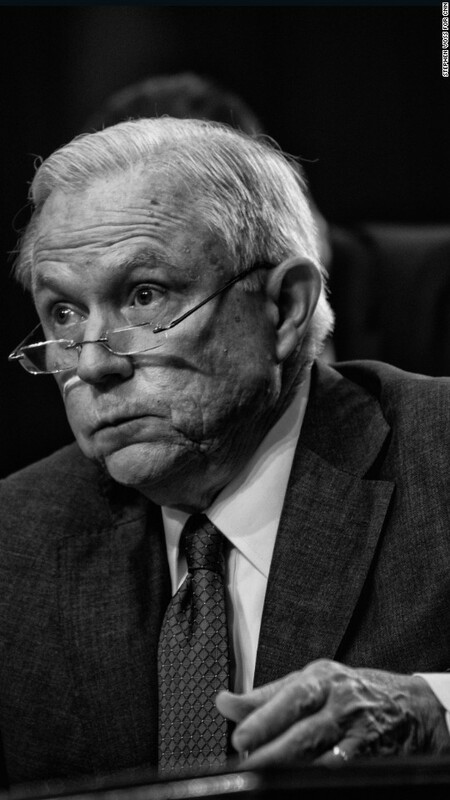 Sessions argued that his recusal from the Russia investigation did not mean that he should be barred from his oversight duties over the FBI. 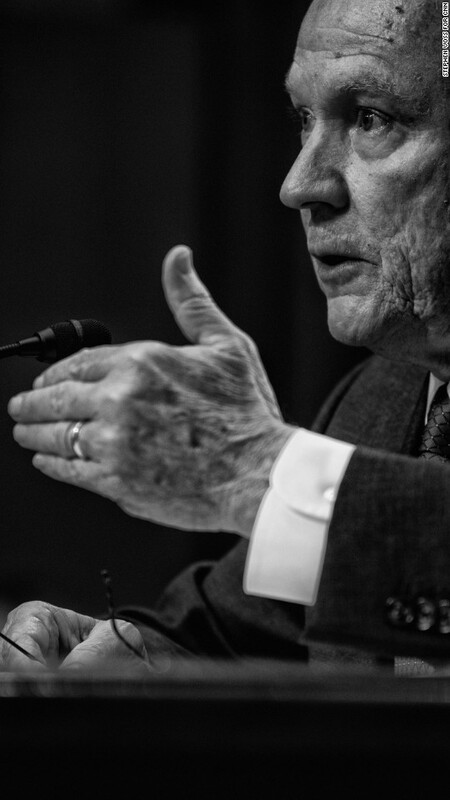 US Sen. Richard Burr, the committee’s chairman, questions Sessions during the hearing. 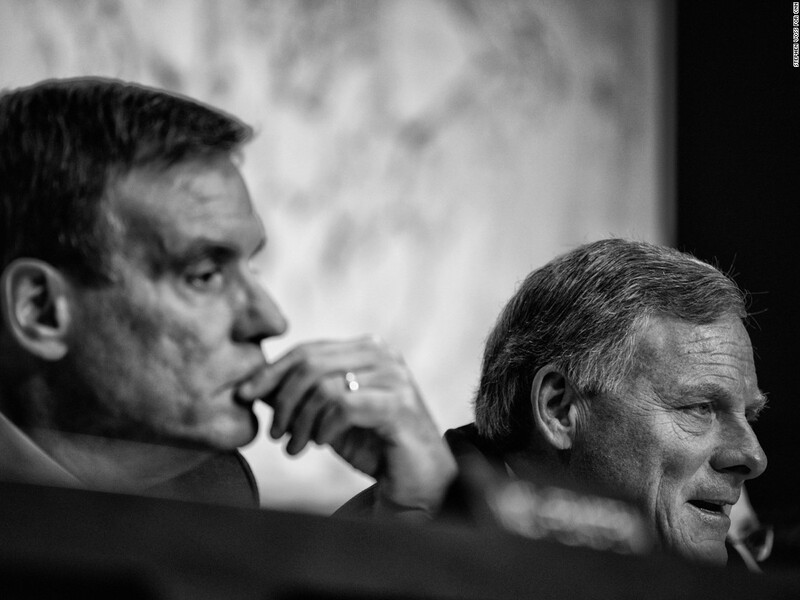 At left is US Sen. Mark Warner, the committee’s vice chairman. 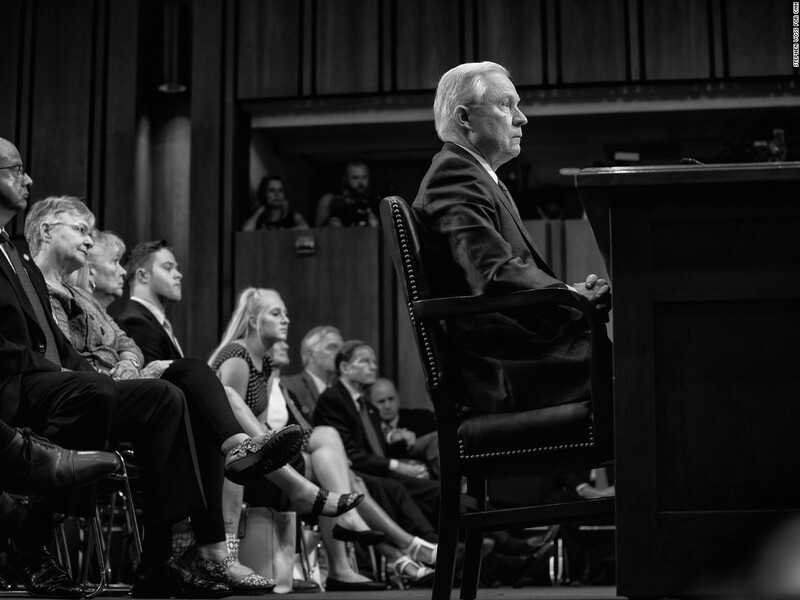 Sessions listens to a senator during the hearing. 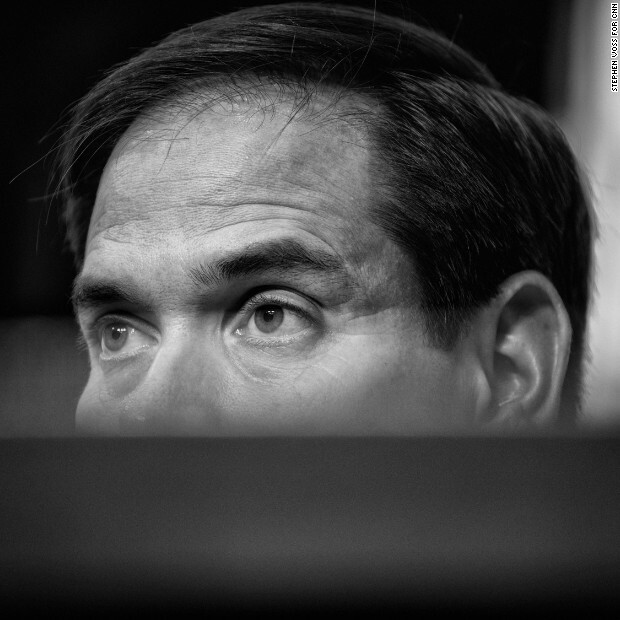 US Sen. Marco Rubio questions the attorney general during the hearing. Photographers sit between Sessions and the committee during the hearing. 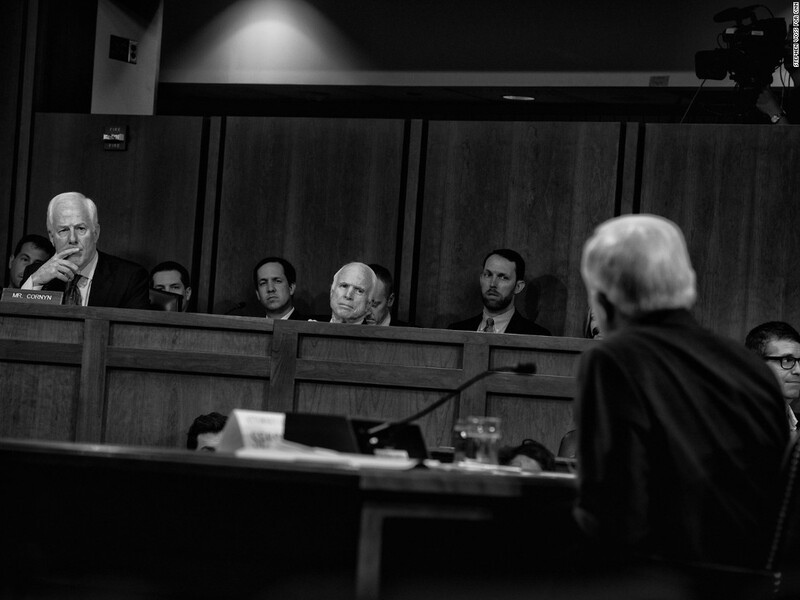 US Sen. John Cornyn, left, listens to Sessions after asking a question.